by Stephen Shea Complete Unknown tackles the concept of identity — how a person could change his or her name and begin again. However, despite exploring identity, the movie doesn’t have one of its own. According to the IMDB page, Complete Unknown is a drama, a mystery and a thriller. It is only one of those things: a drama with very little conflict to drive the emotions of the narrative. What we end up with is something that isn’t bad but is super mediocre; the only thing keeping it from being a total loss is Rachel Weisz’s performance. The film’s plot is about a mysterious woman named Alice Manning (Weisz) who changes her identity constantly because she enjoys it. She decides to check up on an old flame named Tom (Michael Shannon) around his birthday. She does this by befriending one of his co-workers and coming along to a dinner party. At the same time, Tom is having trouble with the idea of moving to California with his new wife so she can study jewelry. As the film goes on, there is tension surrounding whether Alice will be caught in her lies and deceit. As a woman with secrets, Weisz is convincingly enigmatic. However, the script dampens an otherwise great performance. The story doesn’t go anywhere and the moment where the drama becomes most intense is laughably anti-climactic. The film shows what Weisz looks like in her different identities and she adapts slight, subtle quirks and movements differentiating each character, but the writing does not flesh out any of these characters at all. She’s an environmentalist, then she’s a nurse or doctor (it’s not really clear), then she’s touring with a Chinese circus. 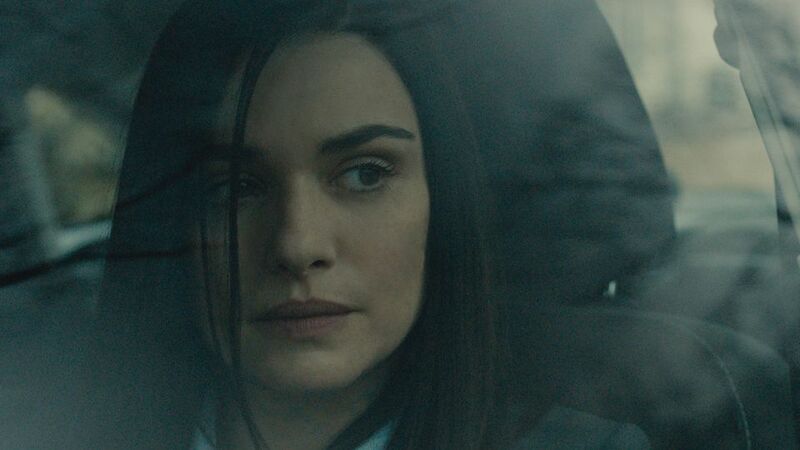 The character drifts in and out of identities and contrary to Weisz’s great performance, the amount of time devoted to each character is all too brief and not enough to give the impression of depth. Shannon is decent in his role. He reacts as anyone would to the sudden return of someone once loved in the past. Unfortunately, he doesn’t have much to do other than wonder if he should move to California. The cinematography is defined by a chilly, metallic look reminiscent of what one might find in a David Fincher film. This sense of coldness in the visuals matches the detached nature of the main character. There’s one notable scene of sensory overload with frogs croaking in a forest that breaks the consistency of that cool aesthetic, and despite it being unnecessary, it has a strong effect that is much appreciated amid a sea of monotone. In a weird way, this film feels like a trailer for a more thrilling movie — not fully realized and hinting at ideas that don’t come together. If you’re a fan of Weisz, you’ll likely enjoy Complete Unknown for her performance, but outside of that, it’s an unremarkable film that isn’t terrible but isn’t good either. It belongs to a league of films that are so mediocre that they would have been a better watch if they were straight-up bad.